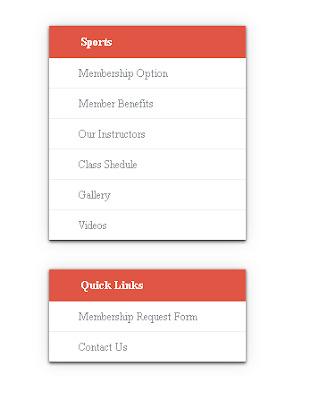 This is very simple sidebar menu with menu header using html and css, This is very easy to create just follow this below code. This is very simple but useful one. change the colours and all according to your site.